Butha-Buthe is the capital city or camptown of the Butha-Buthe District in Lesotho. Butha-Buthe is known for winter sports. 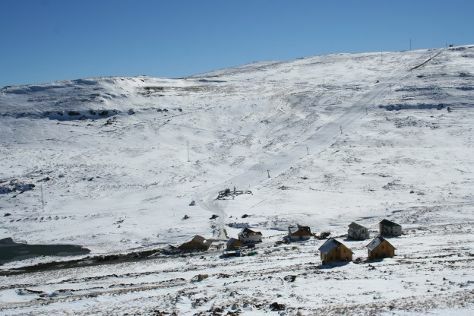 Your plan includes some of its best attractions: hit the slopes at AfriSki Ski and Mountain Resort. For other places to visit, more things to do, and more tourist information, go to the Butha-Buthe holiday planner. Cape Town, South Africa to Butha-Buthe is an approximately 10-hour flight. Traveling from Cape Town in July, you can expect nighttime temperatures to be slightly colder in Butha-Buthe, with lows of 0°C. You'll set off for home on the 11th (Tue).